PARISH REGISTRATION In an effort to maintain effective communications and contact with you and your family, all families must be registered parishioners at one of our Bayonne parishes in order to register in our Religious Education Programs. Please contact the parish of your choice to register. 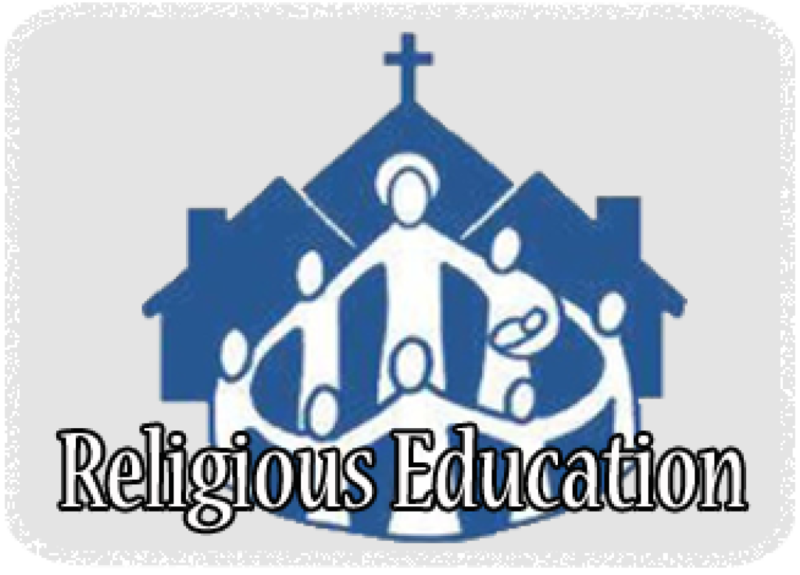 REGISTRATION FOR RELIGIOUS EDUCATION Religious Education Program Registration for all parishes will begins each year in April and runs through the beginning of September. 1 child - $75.00 if registered by June 30th. $100 if registered on July 1st or later. 2 or more children $125.00 if registered by June 30th. $150 if registered on July 1st or later. 4. Reconciliation/First Communion preparation fees will be combined. There will be one fee of $75.00 for the preparation of both Sacraments per child. Confirmation preparation fee will be $100.00 per child – there will be no additional registration fees.
. If you have any concerns regarding finances, location, and/or scheduling, please contact your Pastor or Director of Religious Education. BI-LINGUAL RELIGIOUS EDUCATION All Religious Education classes will be taught in English. Bi-lingual (English/Spanish) textbooks will be available upon request at your parish. If your child needs Religious Education taught in a language other than English, please contact the Pastor/Administrator of your parish. The Archdiocese of Newark has specified that the period of instruction for the reception of Eucharist and Confirmation shall be no less than 2 years.